The genus Salvelinus (charrs) contains the northernmost freshwater fish species on earth that also exhibits the most remarkable polymorphism of all vertebrates. Our knowledge and understanding of the evolution, ecology, and biology of charrs has increased greatly in recent decades, aided by growing research and development of new technologies. Climate change, impacts of non-native fishes, and restoration/conservation of charr species have become an international focus and sustainable management of all charr remains a major challenge, especially at the southern limits of their range. This 9th International Charr Symposium will gather scientists with an interest in charr biology from the whole distribution of the genus, and will disseminate the latest research findings within a broad range of topics. The symposium will also provide a unique forum for networking and developing research collaborations. Our aim is to publish the proceedings of the symposium in a special issue of Hydrobiologia (impact factor 2.051). Additionally, selected sessions from the symposium will be used in a forthcoming book on the lake charr (S. namaycush). The charr symposium series has a long history from its origins in Winnipeg, Canada in 1981 to locations around the northern hemisphere: Sapporo, Japan (1988), Trondheim, Norway (1994), Trois-Rivières, Canada (2000), Reykjavik, Iceland (2006), Stirling, Scotland (2009), Yuzhno-Sakhalinsk, Russia (2012), and Tromsø, Norway (2015). In 2018, the symposium will take place for the first time in the United States, in Duluth, Minnesota, on the shores of Lake Superior, where the lake charr and brook charr (S. fontinalis) thrive and have supported prosperous fisheries for centuries. North America is home to more charr species than any other continent on earth, with three indigenous species, the lake charr, brook charr, and bull charr (S. confluentus), and two holarctic species, the Arctic char (S. alpinus) and Dolly Varden (S. malma). The only charr species not represented in North America are the white-spotted charr (S. leucomaenis) and the stone char of Kamchatka (scientific name unresolved). The 9th International Charr Symposium hopes to see research on all charr species! Download the Full Program Book. Content subject to change prior to Symposium. The 2018 Charr Symposium Proceedings will be published in Hydrobiologia. The Associate Editor is Michael Power (University of Waterloo, Canada). Guest Editors to manage peer reviews include Colin Adams (University of Glasgow, UK), Charles Bronte (U. S. Fish & Wildlife Service, USA), Michael Hansen (U. S. Geological Survey, USA), and Rune Knudsen (University of Tromsø, Norway). Please also see the Guide for Authors for Hydrobiologia. Thank you for your interest in publishing your work in the Charr-2018 Proceedings! THE 2018 CHARR SYMPOSIUM FULL PROGRAM IS NOW AVAILABLE! Note: The full Program Book containing abstract titles will be made available in early May. All photos and/or videos uploaded are open access. All photos downloaded should be credited to the name associated with the photo. If you have photos of the conference that you would like to contribute, please contact charr@glfc.org for permission to upload them. Canal Park Lodge - $129/night. Limited rooms available at government rate. To make reservations, call 218-279-6000 or 800-777-8560 and mention group name "2018 Intl CHARR Symposium." Rooms must be booked by June 4th, 2018. Inn on Lake Superior - $129-169/night. Limited rooms available at government rate. 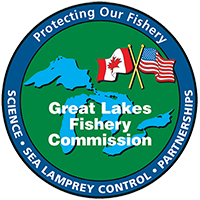 To make reservations, call 888-668-4352 and mention group name "Great Lakes Fishery Commission." Rooms must be booked by June 3rd, 2018. Comfort Suites Canal Park - $159-179/night. Limited rooms available at government rate. To make reservations, call (218) 727-1378 and mention group name "2018 International CHARR Symposium." Rooms must be booked by June 1st, 2018. Free on-site parking is available for guests at all three hotels. Duluth International Airport (DLH) offers daily service to Minneapolis/Saint Paul, Detroit, and Chicago. Additionally, service is offered occasionally and sometimes seasonally to Las Vegas, Phoenix, and Orlando. Airlines serving Duluth International Airport include Allegiant Air, Delta Airlines, and United Airlines. The Inn on Lake Superior offers a complimentary shuttle from the airport for hotel guests (see Accommodations). For other transportation options from the airport, see http://duluthairport.com/before-you-arrive/transportation-directions/taxi-service/. Travelers may also choose to fly to Minneapolis-Saint Paul International Airport (MSP) and rent a car. Duluth is about a 2.5 hour drive from MSP. There is also a shuttle from MSP that stops directly at the Duluth Entertainment Convention Center (two blocks from symposium hotels) for $42/one way (2017 rate). Duluth is served by both Greyhound and Jefferson Lines buses. The main bus terminal for both bus lines is located at 4426 Grand Ave.
All conference venues and hotels, and many downtown attractions and restaurants, are easily accessed on foot. Duluth is also served by app-based ride services Uber and Lyft. Visitors from many countries are permitted to travel to the United States for business or tourism for stays of up to 90 days without a visa through the Visa Waiver Program. See https://travel.state.gov/content/travel/en/us-visas/tourism-visit/visa-waiver-program.html for more information. Duluth is a vibrant city full of things to do, from hiking to exploring museums and galleries to enjoying fine dining and local breweries. See http://www.visitduluth.com and https://www.lonelyplanet.com/usa/great-lakes/duluth for more information. The North Shore region of Minnesota boasts spectacular natural beauty and quaint towns full of shops, galleries, and restaurants. Visit http://www.northshorevisitor.com for ideas. The Apostle Islands National Lakeshore is located in Wisconsin less than a two-hour drive from Duluth. Thank you for your consideration of sponsorship for the 9th International Charr Symposium, June 18-21, 2018, in Duluth, Minnesota. The meeting is expected to have 150+ attendees from around the world who work in fisheries science and management. Below you will find information on benefits for sponsorship at various levels. For more information on sponsorship, please email charr@glfc.org. Please check the box on the right to indicate who will be presenting. One presenter only. Thank you, we have received your abstract!